Technology Advances the Conveyancing Process for Buyers and Sellers | MB Magazine UK | Discover the latest in technology, reviews, guides & features. 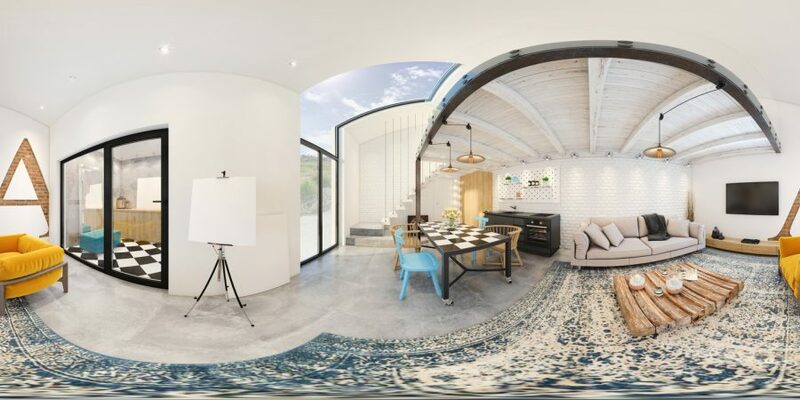 A generation of media-savvy homeowners and buyers are now demanding technology that can aid them when buying and selling property and they are seeking out digital alternatives to the traditional process. Innovative technologies and digital platforms continue to advance and make the lives of consumers easier, and estate agents and landlords now have to make changes to the conveyancing process in order to meet the ever-changing needs of buyers. From the introduction of online property listings in the 90’s to modern virtual technology and 360-degree photographs, the real estate market has seen rapid technological expansion in more recent years. However despite the huge and rising demand for technological advancements in the sector, few conveyancers are actually embracing the change and many seem stuck in their traditional ways. This is why an increasing number of surveyors are choosing to operate using a hybrid model, which combines technology with tradition. The team at Indlu estate agents highlight their top technological advances that are changing the industry both now and in the future. Technological advancements in the real estate market have streamlined the way in which we can now view property, making it quicker, easier and more efficient. Viewing a property is the most important part of the whole process as it is the trigger for other operations. In other words, if you don’t like the property, you’re not going to communicate with an agent, secure a mortgage or track your purchase. This is why it is so important to make the property look as attractive as possible when people view it. Gone are the days where you would have to travel hundreds of miles to look at a property you were interested in, or when investors would have to spend their precious time viewing numerous different properties across the country. Virtual technology and 360-degree photographs now allow us to view a property from the comfort of our own home. The innovative technology also gives us the opportunity to take our time looking at the finer details of a property, something we often neglect to do when we view in-person. With this type of technology you can virtually ‘walk through’ 50 properties in the time it would take you to visit one property. Applying for a mortgage can be stressful even for the most experienced investors and buyers, and engaging with real-life mortgage brokers can be both time consuming and costly. However you can now communicate with digital mortgage brokers to find the best deal for you. Whilst you may have previously used this type of technology on price comparison sites, it is completely revolutionary to the real estate market. A digital mortgage broker can scan the mortgage market and find what best suits the criteria you’ve provided, making the whole process quick and simple. You don’t have to wait for appointment times as you can engage at any point on a range of different devices. Nowadays you don’t need to send emails and letters back and forth to keep up to date with the process of buying and selling. There are numerous different sites and applications that enable you and others involved with the sale to track the process. Not only does this speed up the time it takes to complete a sale, but it also means that communication is improved between all parties and in turn, the whole process is much more straightforward. It looks like the days of traditional conveyancing are coming to an end, however more exposure and better education is required in order for technologically-led conveyancing to completely overtake traditional forms of buying and selling. For more information, please contact the team at Indlu estate agents in Eccles, Manchester.